As many of you know, I’ve been trying to expand my cooking skills. With my husband deployed, I’m beginning to realize how much extra time I have on my hands. Time I’ve been able to use towards my new two favorite things, blogging and preparing my own food! Stating the obvious, I’m not sure if this is the Pinterest in me talking or not but I’m pretty sure I’ve created the most delicious chicken wraps ever. Who wants to learn how to make em?! Today, I’m sharing my top secret, bomb.com, best avocado chicken wrap recipe with all of you! So easy to make and my recent go-to healthy lunch for work! Let’s get started! 1. In a medium sauce pan, set heat to low and prep pan by applying small amount of olive oil. 2. 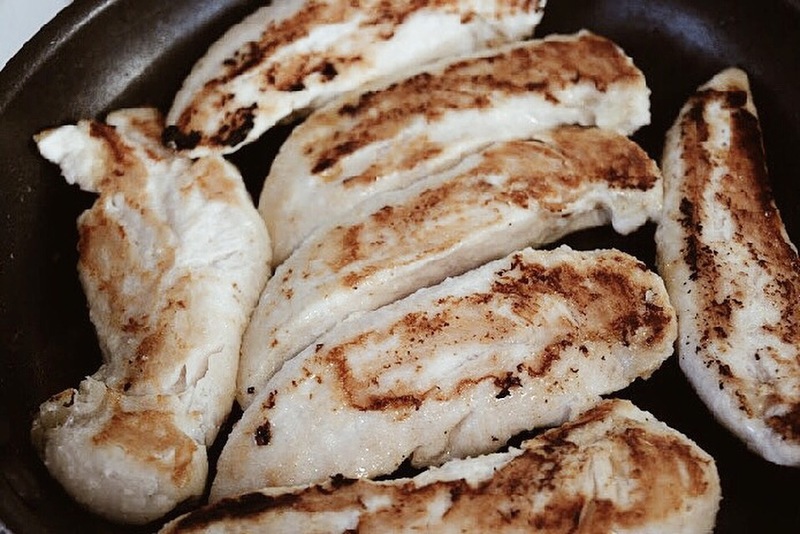 Once pan begins to warm, set mini chicken fillets in a row side by side. Top with garlic powder, salt, and pepper. Increase heat gradually as chicken begins to cook. Allow chicken to cook evenly and slow. Turning the heat up too quickly will cause chicken to burn and get dry. 3. 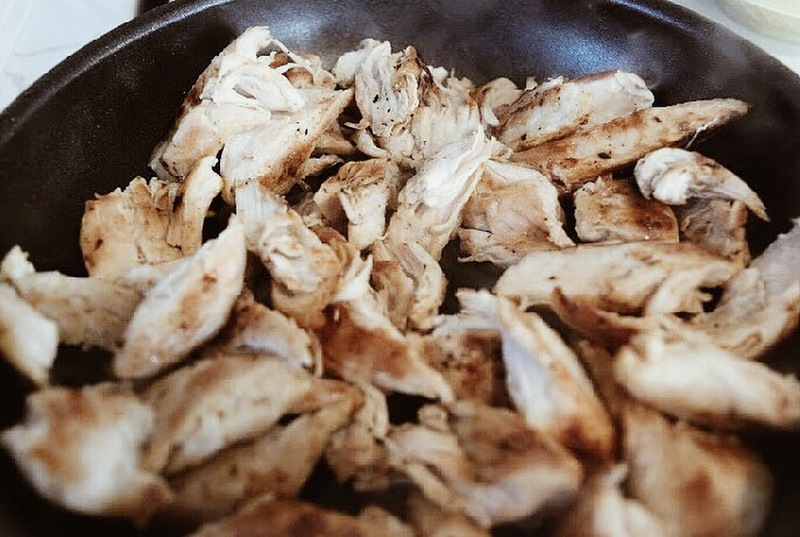 Flip chicken when browning begins to occur. Cover with garlic powder, salt, and pepper like before. 4. While the opposite side of the chicken is cooking, start preparing the veggies and base of wrap. 5. Cube the inside of the avocado and slice the tomatoes making sure all are in bite sized pieces. 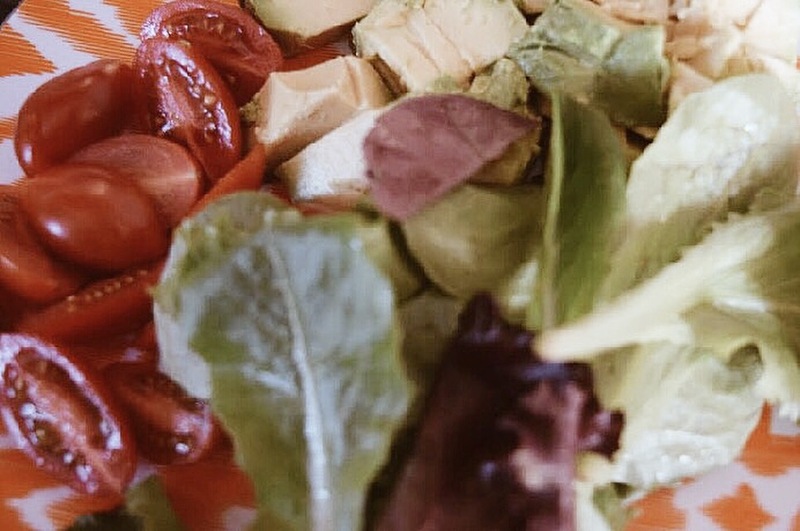 Line the wrap down the middle with the fresh spring salad mix and veggies. 6. Remove chicken from pan once fully cooked. Cut into small pieces and apply on top of tomatoes, greens, and avocado. Also, if you’re looking for a crispier taste, cut your chicken while still in the pan near the end of its cook time. So good! 7. 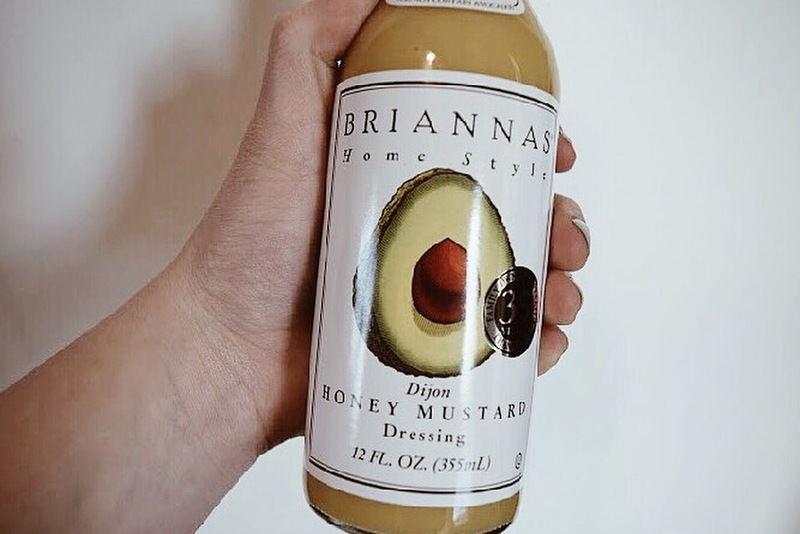 Drizzle salad dressing across the wrap to your liking. But be careful, this specific brand doesn’t have a small hole at the top for easy pouring! We definitely don’t want a soggy meal filled with too much of one ingredient. 8. Cut in half if desired and serve with a pickle, veggie straws, or both! The left over chicken I had was used during the week to make multiples of this recipe. You could also use excess chicken as a topper for a garden salad. Yum! I love this lunch option because it’s fast and virtually anyone can make it! The tangy taste of the dressing added at the end really gives it that needed kick. However, if you’re not a fan of honey mustard and would prefer something else I suggest blue cheese or spicy chipotle! There are so many different variations you can make out of these simple base instructions. Give it a shot and put your own spin on it! I’d love to see your creations!